Join us for a spooktacular evening of safe, active fun where families can ice skate to Halloween music, decorations and our forty foot screen playing scary Halloween videos! All children receive treats along with other various prizes and giveaways. 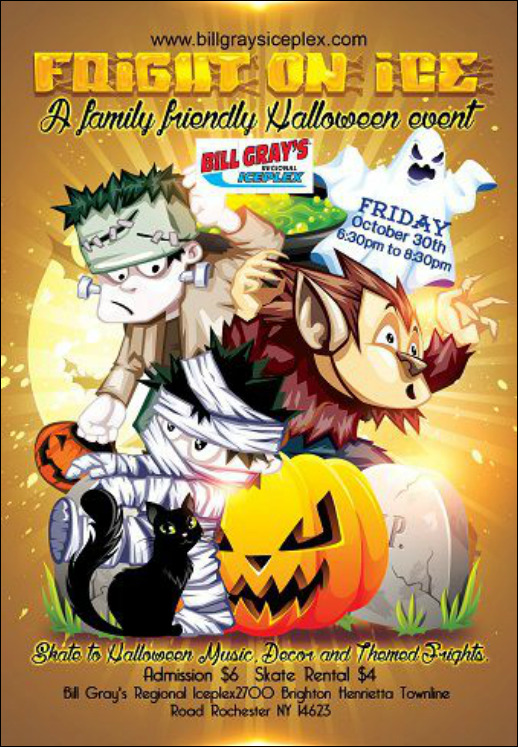 Children are encouraged to wear their costumes as we will be giving away prizes for the costumes (best costume, scariest costume and more). Admission is $6.00 and rental skates are available for $4.00.